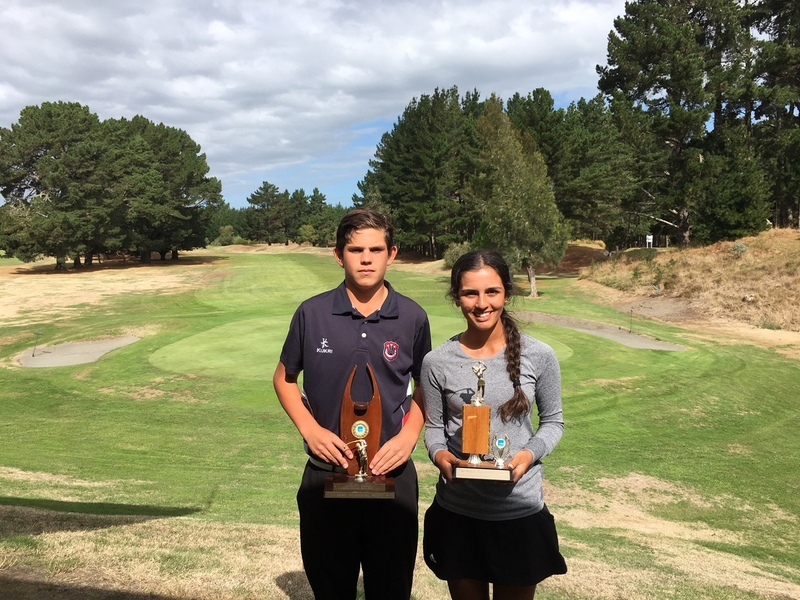 The Manawatu Wanganui Secondary Schools Champs were played yesterday at Marton Golf Club with over 30 participants taking part representing a total of 8 different schools. The day was fine, but a reasonably strong breeze, presented a good challenge for participants. The main competition is the team gross, with the top 3 out of 4 scores counting toward the team total. The winner goes on to compete against the winning team from Taranaki Secondary Schools competition in a regional playoff, to determine the team to compete at the National champs in September. 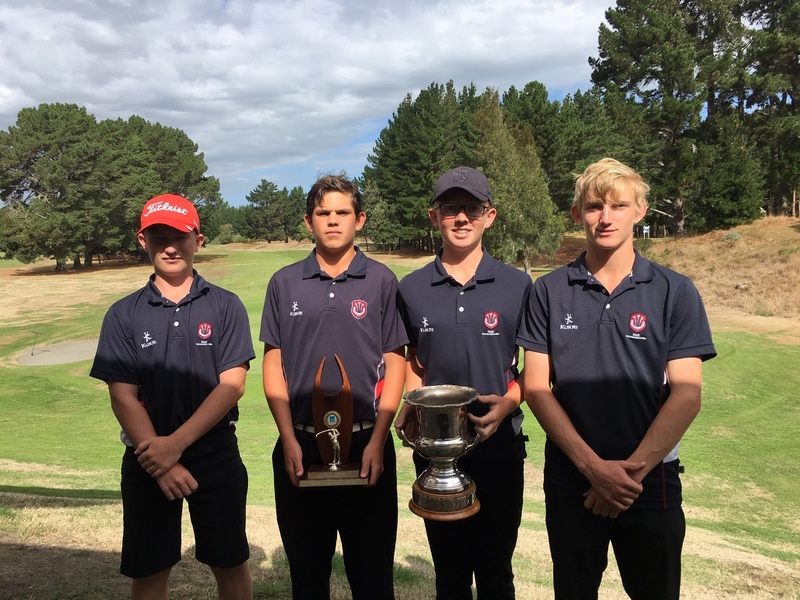 This years competition was extremely close, and in the end Feilding High School prevailed over Palmerston North Boys High School by just 2 shots. The Feilding team of Ethan Ward, Ryan Rooney, Scott Donald and Liam Magill were very happy to win the title. Palmerston North Boys High whom have had a strangle hold on the trophy for a number of years, were without their top ranked player, Bradley McSherry, due to a more important commitment. We wish Feilding High School all the best in their playoff match against the team from Taranaki. In the Individual competition, Tara Raj, easily took out the girls competition with a round of 75. In the Boys event Feilding's Ryan Rooney had the best score of 79, which was 4 shots clear of Palmerston North Boy's High Schools, Remy Early, and Wanganui High Schools Ryan Donaldson, both shooting 83. We wish to thanks all the participants that competed in this years competition, which featured a few schools, most notably Cornerstone Christian School, Hato Poara and Tararua College either playing for the first time, or for the first time in a very long time.